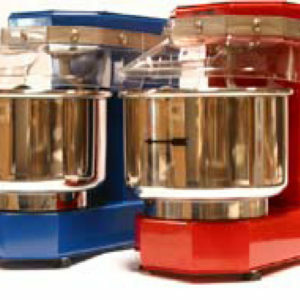 Spiral mixers handle the ‘heavy lifting’ of combining water, flour, salt, and yeast, developing the gluten with both strength and finesse. 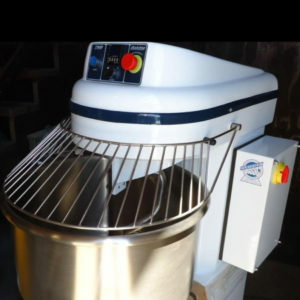 These pieces of equipment measure dough mixing capacity in kilos or lbs. 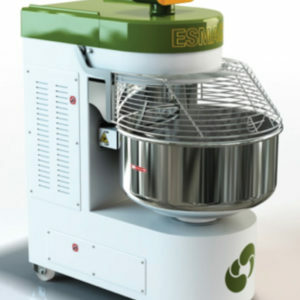 and run the gamut from a table top 5 kg mixer to a removable bowl 300 kg and above (for horizontal or continuous mix). 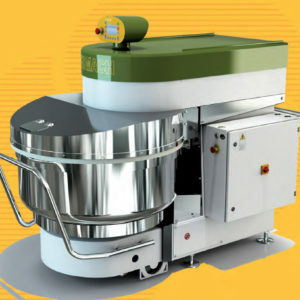 For most spiral mixers, both the bowl and spiral hook or arm rotate evenly and gently, developing the dough with low stress and friction. Try an Esmach spiral mixer or our very own fixed bowl spiral mixer—no matter the bakery spiral mixer you choose, you will be baking happy. 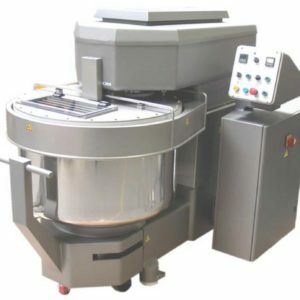 Let TMB Baking help recommend the best bakery spiral mixer solution for your company’s bakery or bakery-café.